Waterproof and dustproof smartphone and tablets has never been new to Sony Xperia. But taking pictures and videos underwater is an entirely new feature to look forward, suitable for people who often use smartphone in a wet environment. Major specification upgrade includes the RAM which is 2GB and 13.1 MP camera with BSI technology, while other specs are almost identical to the previous Sony Xperia versions. Since Sony Xperia ZR is a new release smartphone in the Phlippines, this will create a new level of competition in our local brands, but of course, Sony is Sony and Myphone will still be Myphone. 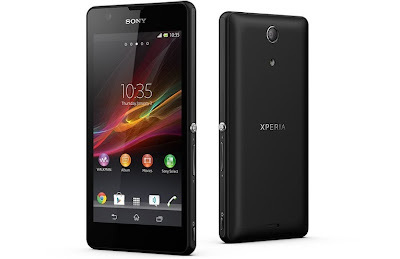 Sony Xperia ZR wil be available in two colors black and white, for Php25,990 official suggested retail price nationwide. Priced at Php25,990 and available now on Sony Mobile stores, and authorized resellers in the Philippines nationwide. Sony Xperia ZR specifications and features is not entirely new to us, while this is a new marketing strategy for mobile dealers: Add some few features then rename the phone, and viola! New smartphone for sale. Can we blame them? No, since there are no more barriers in competition between local and international brands. What can you say about Sony Xperia ZR? Kind share your experience with us!